The State Department has put a multimillion-dollar bounty on the heads of two Americans who the United States claims belong to an al Qaeda affiliate in Somalia, CNN has learned. 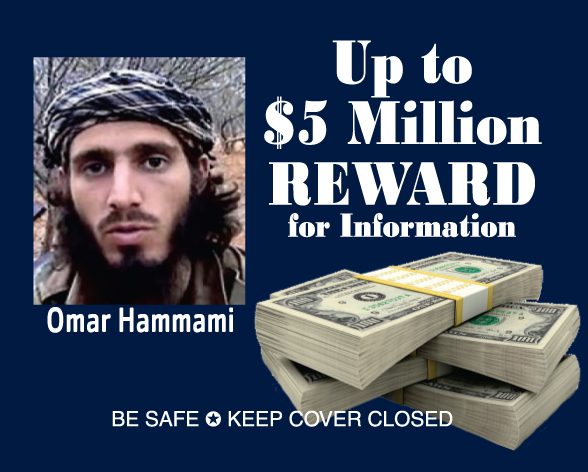 Posters and matchbooks in Somali and English emblazoned with the names and pictures of Omar Shafik Hammami and Jehad Serwan Mostafa tout rewards up to $5 million each for information leading to their arrest or conviction. Both men are on the FBI's Most Wanted Terrorists List. The rewards are being offered through the State Department's Rewards for Justice Program. Hammami and Mostafa are members of Al-Shabaab, the al Qaeda affiliate in Somalia, and "have made significant contributions to this terrorist organization's media and military activities," according to a State Department statement on the rewards, obtained by CNN. They are both are believed to be in Somalia and speak English, Arabic and Somali. A senior FBI official said the United States has information that both men "had a persistent interest in targeting U.S. interests" and are "believed to be involved in planning attacks on U.S. persons or property." But it is unclear what specific attacks against Americans, even ones that have been thwarted, these men have taken part in. Officials said that information is classified. Hammami, a 29-year-old Alabama native, moved to Somalia in 2006. The State Department claims he joined Al-Shabaab there and received training from Islamic militants, rising through the organization's ranks to command a contingent of foreign fighters. Officials say he was also a "propagandist" for the group, helping to recruit English-speaking youth through writings, rap songs and video statements. An Alabama court indicted him in 2009 on charges of providing support to a terrorist group. In July 2011, the Treasury Department placed him on a blacklist prohibiting Americans from doing business with individuals and groups threatening stability in Somalia. Hammami has been engaged in a public rift with Al-Shabaab over the past year. Last March, he first expressed concern about his safety in an extraordinary Web video. He has since criticized the group's leaders for corruption and living extravagant lifestyles with money fighters collect from Somali residents, and for fighting only in Somalia while ignoring global jihad. Hammami's family has said they fear for his life. But the senior FBI official told CNN that Hammami's current status with the group is "immaterial" and that the reward is based on the actions he has already taken to threaten U.S. interests. "We still believe he is an individual of great significance to the activities that are going on in Somalia with Al-Shabaab," the official said. 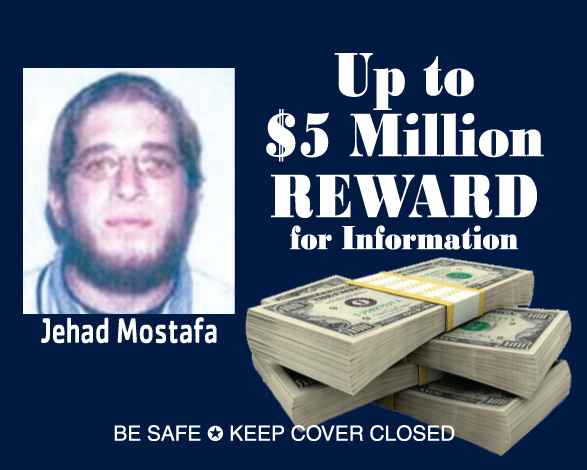 Mostafa is believed to be either 27 or 32. He was born in Wisconsin before moving California, where he attended college. He traveled to Somalia in 2005, where officials say he led foreign fighters for Al-Shabaab and served as a media expert and recruiter. He was indicted in California on charges of providing material support to Al-Shabaab. Al-Shabaab was labeled a foreign terrorist organization by the State Department in 2008. The group was responsible for the July 2010 suicide bombings in Kampala, Uganda, that killed more than 70 people, including a U.S. citizen, gathering to watch a World Cup final soccer match. Al-Shabaab is also believed to be responsible for numerous other attacks in Somalia that have killed international aid workers, journalists, civilian leaders and African Union peacekeepers. In February 2012 the group's leader, Ahmed Abdi aw-Mohamed and al Qaeda leader Ayman al-Zawahiri released a video announcing the alliance of the two organizations. The Rewards for Justice Program is already offering up to $7 million for information on seven other Al-Shabaab leaders. Former Secretary of State Hillary Clinton approved the rewards before leaving office. Officials said they hope the rewards will generate new leads from both Somalia and in Somali-American communities in the United States. In addition to the posters and matchbooks, U.S. officials will be talking with local media in Somalia to reach people that may have information about the men's whereabouts. It is rare for the United States to offer a reward for an American citizen. The most notable previous reward offered for an American was $1 million for Adam Gadahn, who has served as senior operative and spokesman for the core al Qaeda organization. Officials said that in addition to their leadership roles with a terrorist group, the men are of great interest because of their work trying to recruit other English-speaking youth. "Anytime we have U.S. citizens who are trying to affiliate with groups to obtain experience and training and have the opportunity to bring back that lethal experience back to the United States, it's a concern," a State Department diplomatic security official said. "There is no question the cases against these two guys are based on their activities to date. However, we have a continuing interest in terrorist activates in Somalia right up to now. And these men serve as very powerful images for radicalization and recruitment." Both officials said the Rewards for Justice Program - administered by the State Department's Bureau of Diplomatic Security - is not involved in drone programs and the intent of the reward is to obtain information that will lead to the men's apprehension and prosecution. "The purpose of the program is to gather information to bring these guys back lawfully," the senior FBI official said. "We want to bring these people before a court." The Rewards for Justice Program pays large sums of money for information that leads to the arrest or conviction of anyone who plans, commits or attempts international terrorist acts. Earlier this year, President Obama expanded the program to include payments for information about people involved in transnational organized crime or foreign nationals wanted by any international criminal tribunal for war crimes or genocide. The program has a track record of gaining actionable intelligence. Since its inception in 1984, the program has paid more than $125 million to more than 80 people who provided information that put terrorists behind bars or prevented acts of international terrorism worldwide. The program was central to the capture of Saddam Hussein's sons Odai and Qusai; Ramzi Yousef, convicted of the 1993 World Trade Center bombing; and others. 5 millions dollars is so much in a country like that. However that is still not enough for someone to risk everything and turn him over. We need to capture these guys we should make it 20 million and citizenship for the family. we need to look at states' rfj program,on a congressional level. my view,formulated after i make a report to rfj,in 2005,about the san diego contengant of aq,well,i type with one finger,so it took 30 minutes,and when i submitted the report,i was given a confirmation number. i asked the boss,who had found the web site for me,me having limited computer skills,i asked the boss to turn off the computer,and we could not. repete the computer would not turn off,nor respond to ANY comands. stayed that way for three days,then turned off all by it self,never to be functional again. cost me a new computer,and my job,making that report. what they dont tell you,is your report/info,good or not,is worthless,as to rewards,unless sponcered by a senior intelligence person. rfj askes for donations,but i have to ask,what do they do with the money? an investigation is needed. in the mean time,should you have valid info on terrorist s,get a lawyer,who wont sell you out. my info was very valid,and recent events have borne that out,but the u.s. state dept./rfj...does not know me,claims to have no record of my report,regardless of my having witnesses,and a state dept. confirmation number! buyer be wary! I have not read ALL the posts for this so I do not know if this has been suggested or not BUT...Why not REMOVE their US citizenship? If they are doing what they are doing and we know with certainty that they are doing this then why allow them the privilege of citizenship? Isn't there some process to have it removed? If not then there should be. Due process? Eff that. If they're hanging out in Somalia they should be on the receiving end of a 500lb Hellfire missile, courtesy of the US Drone program. They ain't publishing my comments nowadays! I'm thinking of being stingy with the little wisdom i have discerned. Don't blame it on me folks, put the blame where it deserves folks. Because i'm very miffed i'm gonna shut up! Any person who belongs to any group trying to do harm to the US or it's citizens should be held accountable, even if they are Americans. They gave up their American rights the moment they allied with a terrorist organization. Why all the squawking if we kill them before they kill one of us? What exactly makes a boy choose such a life? A life of killing innocent people, a false religion, and putting yourselves in the crosshairs of a feared nation! Graag gedaan boys, you have condemned yourselves to a life of useless hardship. Even other muslims despise you as crazy bloodthirsty warmongers. Boredom and lack of direction,Back in the day we fought for land and beliefs all the time. Kept young people involved and win or lose they tested the mettle. We are of a Warrior culture and there is no mistaking that. Even the Anti gun morons fight. We are always looking for a good fight one we can feel righteous about. Where can these posters and matchbooks be found. ebay? i say good job try water bottles . this is a cheap way to catch these bums. a lot of joking makes me wonder. i think america needs to wake up to the real things that are happening around the world and in america. i say good idea on the rewards offered. maybe print them on water bottles or bags. sometimes i think our government is doing a good thing this is one of them. so who are the 80 people who have collected $80 million from the US taxpayer? nice way to make a bunch of money. how many of these people who collected should have done the right thing and come forward without the need for a bribe? this whole thing stinks. Well at least the government is making an effort to obtain an "arrest or conviction", as opposed to just wanting to kill them outright with an extrajudicial assassination. That Would have been interesting to watch. Once you've gone al qaeda, you don't come back except in a body bag. They may have been Americans but they aren't anymore. You are **kn naive! They are not American killers.... they are American heroes trying to infiltrate Al Shabab! If they wanted to do Jihad by killing Americans... they would not leave this country and travel thousands of miles to get into a dangerous place like Somalia. They would do their thing here. They have other intentions and need the cover of media hype as a smoke screen to infiltrate and be considered legit. @Adman1... you must be a "conspiracy theorist type"...Do you know how F***ing retarded you sound right now?... We have professionals in law enforcement and the military that are trained to infiltrate locations...Not a couple of brainwashed, clearly unfit "Americans". Your theory is just plain dumb. That is what makes America beautiful. Even if you oppose the government or the lifestyle you will STILL be an American. Anybody who opposes that are the real anti-Americans. I just saw them on CNN.com. Does that count? I'll take my 5 million now please. If the gov wants them dead, you can bet the Tea Party nuts will come out demanding mercy from that Terrorist killer, Obama. Seems not too long ago Obama was cuddling terrorists, now he's killing them- either way the Tea Party is against whatever he does. You care? I assume you must care some given that you COULD care less. I personally couldn't care less. Sorry but those aren't Americans. can start killing em. Even their beards look legit! OK the bounty is 5 million but the crime is classified information. This is worse than Russia under communism ever was. Cuban citizens have more liberty than Americans. This is how they waste my tax money! Sickening. READ INTELWIRE BY J.M.BERGER. THIS IS STUPID. LEAVE THE US TERORRIST WHERE HE CAN DO MOST GOOD.HES DRIVING AL- SHABAAB (AL-QAEDA) IN AFRICA CRAZY.THE US IS BETTER OFF LEAVING HIM THERE.THIS IS STUPID AND A WASTE OF TAX PAYER DOLLARS. REBELS IN SYRIA ARE TERRORIST IN SOMALIA. WE CANT MAKE OUR MINDS UP.DO WE ARM REBELS OR KILL TERRORIST. 5 million dollars that works for me. Help America and get rich doing it. Wait is that before or after taxes? in 5 mill, Somalis will roast and eat them. They are pilots on Air Force One! Where did we find 10 million dollars.Correct headline would be U.S. borrows millions from China to offer bounty. We do not borrow from China that much. The money would likely be raised (if borrowed) from a bond with American investors...or borrowed from Social Security. Drones will not suffice. They should endure the worst physical torture allowed. Sorry to hear about your mental health issues. So all I need to do is hack off a few heads and I can collect? Sign me up. I'm afraid offing family members doesn't count. A terrorist's life has zero value, actually a negative value. Anyone who would participate in the deliberate killing of innocent civillians, of any race or religion, should be put down as swiftly as one would kill a rabid dog. The life of a rabid dog is worth more than any terrorist. Hope the reward money goes to some good people who will use it to help their communities. Does your hatred extend to those who operate drones? After all, they do fit your criteria, no? "...information leading to their arrest or conviction." Yeah, good luck! Dead or alive may be! Saw both these guys in Parsippany NJ during the snowstorm the other night driving around. They were in a fancy development called Powder Mill which is predominantly well to do Pakistanis and Middle Eastern types. It would fit in with their MO because there is a lot of I.T. recruiting and media business that goes on in the area. Yah if a gop was in office you would be out in in front of the White house screami9ng bloody murder. You can never get the gov't to admit that your help is what caught them. And they have five million reasons each to not to admit it. I wonder if he just randomely picked his last name because Hammammi means a males private part in Arabic. The somalis who follow the muslim culture, dont even know how to speak arabic but they have versus memorized in Arabic. I say bomb these schmucks and keep them in the stone age. They seem to like it. Oh yeah. Citizenship does not trump the evils these men have done or are planning to do to the rest of us. You dont get to have the rights of an American and kill us too...sorry. Dont be taken in so much with the media hype. The reward offer is also a mislead.... to get US moles into Al-Shabab. Man have taken over the world! So much crime,killings and lack of respect to God!! I do feel bad for those that do not believe in God!! For they are missing out on a great man! Don't forget! God gave us food,water and land for free! Man make us pay! Look at the price of food,water,gas,oil etc. I see those two loser crackheads loitering on my street practically every day. Still wouldn't turn them over for the auto-drone, though. not surprised obama let another terrorist slip through the cracks. Read the article – the men moved to Somalia in 2005-2006, during the Bush administration. Thank the failed "war on terror" for missing these two. i dont think he cares about facts...i think he even blamed Obama for the Holocaust.. I think the one on the left has a gig on the Daily Show and goes by the name Aasif Mandvi. The one on the right is obviously Glenn Beck. Look, up in the sky! Is it a bird? It is a plane? No, "Jihad Mostafa," its a US drone that sees you from 45k feet! Lets see if you can out run a Stinger missile. Sure, you have time to say goodbye to your camel. Whhhooppsie! I'm sure they have a couple of drones with their names on it. I don't want to hear about some judicial process...if you're against the American people then you better look up constantly. I think I saw the one on the right going into a San Francisco bath house with Mitch McConnell. Thats totally illogical. If they were so much against Americans, why would they go into Somalia into a pack of wolves?. They would do their battle here itself where there are plenty of Americans. They would be called some crazy lunatic shooting up people like what happened in Columbine or Sandy Hook Elementary School. They are American heroes infiltrating Al-Shabab to give us drone coordinates. Do not despise them. These people are Tea Party congressional member. I suggest that they get these people if they ever go to work. Oh please give us all a break!!! The way that the world has become, it is a shame to what man has done with it! Omar Hammani is hiding in plain sight posing as Vancouver Canucks goalie Roberto Luongo. I saw those two on the dance floor at my local night spot last weekend. They were shaking their money maker pretty good considering they're Muslim. That's a clue! Now do I get the reward? God said:Thou shall not kill!! So,why don't the world listen to those word's! No one should be setting themselves off with bombs to cause harm and all the evil things that come with it! If you need to defend yourself due to some evil person causing harm then do what you have to do to save yourself. tell that to the Muslim brothas who flew those planes on 9-11. They are EVIL!! DIE!!! DIE DIE DIE DIE DIE!!!!!!!!!!!!!!!!!!!!! The government and their state run TV are full of shiioot they simply either do not pay these "rewards" like it refused to with the Dane who gave up Al Alawki or they charge the folks who come forward with Conspiracy and or Material Support to terrorism. Just print this page and show it to the judge, case dismissed. Our they leave them to be tortured for the next decade, like they did with the doctor that help with the capture of Osama bin Ladin. Osama wasn't captured – he was killed. These two terrorists were born here and are US citizens, and there is a price on their head,which begs the question : Is it lawful to use the Obama drone to eliminate them whether they are either in US or abroad?I understand they are ensconced in Somalia,a haven for terrorists. Senator Rand Paul does not approve the use of drone to kill US citizens here. That is where I diverge from him ,though I am his supporter. for his election as the 2016 President of US. I find the action of these two terrorists treasonable and they deserve to be punished to avoid any potential massacre as 9/11.. I dont CARE if they are 'American Citizens' No 'American Citizen would do what these monsters DID!!!! In WAR,I MUST be protected,SO THEY must DIE! Uh, being a US Citizen doesn't mean you're a saint. I mean over_seas.Domestic terrorists are dealt with with the jury system. Over_seas,it's KILLING TIME!!! Soldiers and drones are the JUDGE,JURRY,and EXXECUTIONER!!!!!!!!!! Even if I did know where they were, I could not in good conscious disclose their whereabouts knowing that they would likely be tortured. I am better than these people and I will not let myself or my country be brought down to their level. You might be confused – torture was Rumsfeld's/Cheney's prefernce, to gather intelligence to find Sadaam. The current administration, now that they've killed the *real* enemy, is less concerned with gatehering intelligence, and more concerned with delivering justice to those who are sworn enemies of the USA. I highly doubt it, princess. Why is it that these terrorists always look like total losers? You mean like the average overweight, morbidly obese, poorly educated ignorant American? That would be about 359 million Americans or lets say 99%. Sad but true. That specific style of unkempt facial hair and/or presence of a towel on the head are the unmistakable signs of a total loser. The guy on the left is Brian Miller. Goalie for the Buffalo Sabres. He should be easy to find. They just have alias arab names so they can pick up girls. So CNN. What happened to the hyphanated American that you always divide us with? Are they Pakistani-American or Somali-American? Come on tell us. Or is this your new definition of an American? Good catch. CNN should have said Muslim-Americans. I smell a Hellfire in their future. I know these guys.....they are CIA agents! I know they went to Washington State, they were trying to get across the border to Canada and they had quite a lot of money at their disposal in a suitcase that was one of those small black ones that you'd take as a carry on. Notice there is no mention of the 16 year old American boy killed by Obama? dude – stop sniffin' the faux news crack. this "boy" was an active terrorist who was bonked with his father and other terrorists at a meeting of terrorists. you want to stop the drone strikes? tell the rad islamists to back off on trying to kill innocent westerners. so far, in my estimation, no "terrorist" group has ever succeeded in helping their cause by killing innocents. case in point is northern Ireland – nothing changed there until the ira laid down their arms a started talking peace. So a US citizen, born in Wisconsin, lived in Ca. and goes to college in the US.....they don't know how old he is ?? What kind of show are we running here ? Both could be CIA plants. Just building up their cover with listing a very large reward. stranger things have been done. Yeah, no doubt your waving the Walmart Chinese American made flag. Ra, ra let's win one for Uncle Sam. While dress up in your 1776 get-up hiding behind some spiel of phony patriotism. Enjoy your apple pie tea-bag.